Apple CEO Steve Jobs HASNT died, he stepped down from his position of CEO…to being chairman of the Board, I think he replaced Sinatra, both of them have a reputation for "I did it myyyyyyyyy wayyyyyy", he hasn't died, although things arnt looking good. As I record this episode, I'm wearing my "Steve Jobs Lives" t shirt, you get them for being a loyal little Apple customer, for the low low price of your mortal soul. What would we do without the iPhone? How would we talk to one another? Record videos of our Chicken Friends? Scan Twitter for anyone using the term "vegan" during our lunchbreaks, and reply to the ones saying "I'd like to be Vegan….but its hard….." with a genuine offer of friendly help and links to check out. No sir, a world without the iPhone is not one I'd want to live in. Mac users far more likely to be "Vegetarian", by my impeccable logic, that means All Vegans MUST use all Apple products. Going to Borders, an American chain of "bookstores"? not anymore you wont! Its like the movie "You Got Mail", and yes, I do realise I'm the only guy in the world to like that old romantic comedy, the one about the giant evil corporation, and the small independent company struggling to compete? Where the bad guy uses an awful PC, and the nice woman, whose genuine and trustworthy and has a heart of gold, she uses a Mac. See, thats how the film maker let you know whose bad and whose evil, what Operating System they use, not very subtle, really. Of course, that movie is from 1998, HA, back when Apple really was an underdog, near bankrupt….unlike the Apple Monopoly of today which we all know and love, the second largest publicly traded company in the world, second only to Exxon Mobil. Who would buy a paper book in 2011? Surely we can exchange text online, near instantly, anywhere on the world, in your car, house, glasshouse as a Hen Friend sits on your leg…anywhere…and did I mention its free? No more cutting down trees, where nice Chickens might like to sleep overnight! And as for "Ghetto Universities", those are the kind where the students still use pen and paper….a few New Zealand schools are going all iPad, with either the devices being given by the school to students, or they are expected to bring their own computer device with them, with an iPad 2 suggested as the perfect combination of incredibly low price, light weight, ten hour battery life and downright "magic". South Korea is going all digital for student resources by 2015. America? Hmm, well, I hear YALE, one of those cheap, easy to get in colleges is offering iPads, although, in my understanding, an American "college" is a university, where "college" means "High School" in New Zealand, so Yale is not quite like Aurora College, the original school of hard knocks, where every student gets given an iPad…..so um, the Americans will eventually catch up with the worlds movers and shakers, like The Great Nation of New Zealand. We want a Vegan revolution, and what better way to change the world than by devoting your life to a colossal corporation? This stuff is important you know! Yes, myself, Emmy James and Barbara DeGrande all have magical iPhones, and we all love them very much. If you MUST go to the Dark Side, Android, well, Google ALSO can claim a link to Veganism, although its tenuous at best. My friend Kathy shared this video from Google with me, explaining how the new +1 works, this mainstream, how to video, and it just happens to namedrop Veganism! We're in the mainstream! The eccentric hobby was breakdancing. The "strike up a conversation" shows a comment being left on the video, a really original, thought provoking comment on this "super breakfast", quote "its not super without meat!" with an unhappy face, to which the hypothetical vegan replies with "I beg to differ"
For a while now, theres been this guy who rants on that "guide dogs" for the blind are no longer needed, who wants to be pulled around by a harnessed dog all day? No, as ALWAYS, technology to the rescue! A magic glove that sends our magic radio waves, sonar style, or like the reversing sensors on a modern Japanese or German car. Pressure is applied on either side of the glove, if something is coming up on your right, then the right side feels tighter, and it has different pressure levels, depending on how close the obstacle is. Much more subtle than some dog pulling you about! Rather than just pointing out problems, to be seen as complaining all the time, its nice to be able to provide an animal friendly answer, and one thats technically better too! Rather than training other animals as our guides, we can instead leave them alone, and rely on Mans New Best Friend, Technology. Here are some local New Zealand stories, about "farming". "A female Bay of Plenty farm worker was told by her boss to take her apron and "bugger off" in a milking shed flare-up that ended with her sacking. Kathryn Drawbridge was also called a "silly b****" by Whakatane farmer Greg Malcolm, whose company has been ordered to pay thousands of dollars in compensation after the Employment Relations Authority ruled Ms Drawbridge was unjustifiably dismissed. Ms Drawbridge's last day after more than four years as a milker at a Waimana Valley farm came on the morning of New Year's Eve last year, when Mr Malcolm unexpectedly arrived at the milking shed, she said. She said Mr Malcolm yelled at the dog she had with her, causing IT to run into the shed pit, before telling her "there's no dogs allowed in the pit" and pulling IT out by ITS collar. She then grabbed Mr Malcolm's hand and he let the dog go. Mr Malcolm said he then told Ms Drawbridge to "bugger off" because he was annoyed she had her dog in the milking shed, that IT was chasing cows and that she did not respond to repeated requests to remove IT. He claimed the catalyst for the blow-up was when she threw a piece of alkathene pipe at him after she heard him call her a "silly b****". The story goes on to show how she was upset about being fired, mental health issues from being treated this way, and she sued the farm manager for a few thousand dollars compensation, presumably for referring to another animal as an "IT" I would expect. Well, this is a "dairy" farm, where exploitation of others is Business as Usual. So, essentially, a farm worker had a dog with her, who was always respectfully labelled an IT over and over in the story, the farm manager went nuts, claiming this dog was a problem, that they would scare the cows, he yelled at the dog, who ran away from him, further into the "milking shed", and then he yanked the dog by their collar, in itself a sign of possession, wearing. The woman was fired from her job of stealing mothers milk from other, forcibly impregnated mammals, and what caused all this? Well, apparently because the farm worker threw a piece of plastic pipe at the farm manager. Why did there happen to be a length of pipe lying about? Well, simple, I've spoken with farmers before about these pipes, they carry them as a sort of baton, they politically corrected it up into "an arm extension", to hit the cows and to try and make them obey you. Now, I'm sure they'd say "oh, its just a little tap on the back"….. somehow I doubt that, when a large mammal several times the farm workers weight is not moving as quickly as they'd like her too, what do you expect to happen? For them to tap her slower, and softer? Not exactly! Hell, look at how the farm manager reacted to having the thing thrown at him, he didn't exactly like it very much! I was interested to notice the quote "piece of alkathene pipe" in the story, having heard other farmers talking about them before. I get an image of Eric Cartman from SouthPark, "respect mah authori-tah"
Its easy to feel like a big shot when you're bossing around a recent mother, "tapping" her with your little plastic pipe. "Walking through 21 kilometres of bush by himself, Baily Read had just one thing running through his mind. "I thought, `it has to end somewhere'. So I just kept going," he said. Back at home in Winton yesterday, Baily, 10, said he had been pig hunting with two of his mother's friends near Lumsden on Sunday and became separated from them. They had disappeared into the scrub to chase a pig, telling him to stay behind in a clearing. Baily decided to go after them. Just a few short minutes later, he realised he was "really lost". Dressed in just a fleece T-shirt and trousers, unable to hear or see anybody else, and armed with a backpack containing bottled water, a couple of packets of potato chips and some chocolate bars, he battled through the rugged terrain for nearly five hours by himself. "It seemed like a whole day went by," he said. Yesterday, he was still nursing sore limbs, with his hands full of prickles from holding on to bushes while trying to climb up the steep hillside. Really doesn't sound like a safe hobby for a ten year old, for a couple adults to tell a kid dressed in a t shirt to stay put in the middle of nowhere, while they ran after a possibly shot and wounded pig with their guns at the ready… to shoot them again...….. surely you could have fun in other ways, might I suggest an iPhone for the adults, and iPod Touch for Master Read? One more story, also from the Southland Times, about the world renowned Waituna Lagoon, that I used to go kayaking on, and which is being ruined by pollution, and guess where the pollution is coming from…neighboring farms. "Farmers say they are being victimised over the Waituna Lagoon and that a backlash against all farmers being called polluters is growing in the south. A "farmers only" meeting has been called tonight for farmers from the Waituna catchment area. The notice calling farmers to the meeting asks, "are you sick of being Southland's biggest environmental scapegoat?". Joanne Crack, who farms with her husband in the catchment and helped to organise the meeting, said farmers were at "boiling point". "We want to voice our opinion on the way forward without big organisations sticking their noses in." Falling equity and environmental scientists telling farmers how to run their farms was starting to irk them, she said. The Waituna Lagoon has been at the centre of attention in Southland, after it was revealed it was on the brink of disaster through the accumulation of nutrients and sediment. Waituna sheepfarmer Ray McCrostie, who will chair the meeting, said farmers were vowing to make a stand before regulations were imposed. Farmers in the catchment were feeling victimised, singled out and under attack, he said. He said he had anecdotal evidence, which he would present at the meeting. "We acknowledged this community has received bad press over prosecutions, but those people are a minority. "No-one is denying there is a problem. A lot of good people live in this area and they believe that something must be done, but we are afraid that we are damned if we do and damned if we don't." Farmers not wanting to talk about the issue,a "it'll go away", head in the sand type attitude, "waaa, the media is picking on us, they blame us for all the pollution WE dump in the priceless wetlands, why do they blame big business for the pollution we cover the country with? Who is Environment Southland to tell big industry what we can and cant do with our pollution, when it comes to dumping it in the Environment of Southland????" The New Zealand Green Party is NOT all Vegan, far from it, they advocate strongly for "welfare reforms", larger cages, "organic milk" to be taken from forcibly impregnated mother cows. Politicians wont lead a movement for animal rights, "duh, hey guys, about 1 percent of you buggers are Vegan, so uh, how about we persecute and prosecute everyone who isn't Vegan, locking up 99% of the country if they dare carry on Business As Usual after INVSOC wins 1 percent of the vote?" The INVSOC party would be far from in total control of the population, I can tell you that, not yet anyway….. to quote 1984, If there is hope, it lies in the proles. I think The Proles means creative, nonviolent vegan education at a grass roots level, maybe? We have two large political parties, Labour and National, coalition governments between one huge party and a couple microscopic ones to make the 51% threshold. The latest poll cited in the Herald shows centre left party Labour is screwed, farmers feel CHEATED by the centre right National, which agrees with climate change regulations etc, well, to some extent, I havnt been keeping up on it, the Green party would have a million times (not quite) more regulation for climate change and pollution than the centre right National. Anyway, this isn't America, generally, even our "Right Wingers" agree to some extent over evolution, gun control, climate change and whether Steve Jobs is the greatest American of the past hundred years, to which the answer for all is resoundly YES. Well, all except "the conservative party", who left a pamphlet in my letterbox recently. They have a page all about "prosperity", and it offers such practical, and totally inspirational headlines as "you want prosperity, you want to worry less about money. You want a country of opportunity in which the average family is getting richer not poorer. You want a plan that leads to prosperity. "Home of the New Zealand Farmer", with a photo of a man hugging a farm dog, with a herd of sheep behind him. Basically, "oh, America is avoiding making polluters pay for their pollution, so lets not do it until they do…. ", with each unwilling country pointing their finger at another…whatever happened to the New Zealand who flew before the Wright brothers? The first country in the world to give Women an equal respect to men, to allow them to vote, to count as a full citizen? To ban nuclear materials? Do we really want to go down in Wikipedia as "the nation who dragged its feet over pollution laws"? The Greens are not Vegan yet Farmers go on and on about "bloody greenies", that the "greenies" ruin everything, that this country would be swallowed up by the sea, or invaded by Australia if "the greenies" had their way, if famine didn't take care of us first that is. The ACT party is somewhat far right though VERY similar in many respects to the Democrats up there in the US of A. Goes to show that America has two parties, Fairly far right and EXCEEDINGLY far right , with maybe one or two other parties technically around, who are lucky to get five votes in a country of 300 million people. ACT have been portraying themselves openly as The Farmers Party, they are the most anti climate change, government regulation (which no doubt includes Environmental Agencies who put up a token whimper of protest to large industry dumping pollution in internationally recognized wonders of the world), immigration….all the stuff farmers love. So, lets compare the numbers, shall we? If, as a Vegan, I have to be a "greenie", voting for the Greens and their marvelous "give Hens larger cages" and "kill other sentient beings nicely" nonsense, and the Farmers are all to vote ACT, who actually has the larger share of votes? ACT, labeling itself "the farmers party"? yeah, they are in Others…. with predicted votes of 1.2 percent, they would only have their party leader Don Brash, who tried to be Prime minister two elections ago for National, being represented in parliament. If it comes down to "The Greenies", people into quote "high welfare" and "organic" and "nicely killed" other animals and their bodily secretions, VS "The Farmers Party" ACT, from the polls prediction, its 9.8 percent vs 1.2 percent….. rounding out .2 of a percent each way, guys, thats 10 vs 1, there are TEN TIMES more "greenies" as "The Farmers Party" voters….. Something to think about. Thank you for listening to this episode of New Zealand Politics For Beginners, the first of a two hundred part series, 400 hours in total, lectured in a monotone voice. As the Invercargill Vegan Society started gaining members other than myself, I noticed a weird pattern….the first people who joined, as members who actually live here in Invercargill, New Zealand…their first names…. I couldn't believe it! JRDN….its JORDAN in txt language! It was as though I'd only DREAMT the Invercargill Vegan Society had more than one member! :-) I was HORRIFIED to realise this, I felt like a wonderful thing had been taken from me, like my iPhone had been stolen, I honestly pinched myself when the shock hit me. I've long been against the idea of charging money for Animal Rights related causes, all kinds of welfare approved labels bringing in money to large groups, and charging membership fees. Surely, we're doing this to help other animals, not to "feather our nests", right? Six members paying 20 NZD a year membership fee, thats 120 dollars! About a hundred american dollars….ok….so that pays for my iPhone's monthly 10 dollar data pack on 2 Degrees network….120 dollars… a new iPhone, bought outright, is 1200 odd NZD….so with the full membership dues from six members, thats a new iPhone each decade, AWESOME!!!! If I start taxing now..…..sorry… "being reimbursed for the incredible expense members place upon me", then iPhone 14, you shall be mine! I'm now a careerist in the movement! And then theres all those new Vegans living in Invercargill, New Zealand that I'm coming across, the latest members Aleisha and Sophie, who moved here from The Earthquake City, Christchurch, taking INVSOC's members who actually LIVE in Invercargill up to NINE! And there are STILL more Vegans living here to be met, and membership dues to be paid, hurray! Aleisha's A lets me buy our first vowel from the board, and Sophie, uh, that makes it "JRDANS", as in the plural, more than one. So, our next and tenth member MUST have an O at the beginning of their first name, any Vegans called Olivia, or Oliver, Optimus Prime or Olympia or Odin….getting a bit ancient deity there…..and living in Invercargill? Please, do get in touch! With those kinds of numbers, 9 Vegans that I've met so far in person, hell, we'll have a Vegan Restaurant here any day now! Just so long as I buy a meal every Monday, Dan goes each Tuesday, Rich on Wednesday, Natalie and Ricky on Thursday, Russell and Noelle on Friday, Aleisha and Sophie on the Saturday…hmmm well, I guess I can go on Sunday AND Monday, two days in a row, right? I mean, I'm going to be the one running the place….my restaurant can thrive with one customer a day……um….….right? That works out to a two hundred dollar all you can eat rice-beans-bread and tap water…..banquet…..watch out, Loving Hut! Well, INVSOC is thriving, up to nine members now, with about another 5 Vegans I know of, and am yet to meet, thats,…nearly…… 50% more! 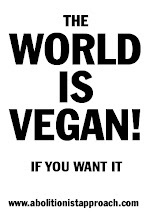 A 14 member Vegan Society at the bottom of the world, now you're talking! Lets put it into perspective, most of The Invercargill Vegan Societies "members who live in Invercargill", the minority I might add, they were not BORN here. Typically, they seem to have been Vegan, and moved to Invercargill, to study at the Southern Institute of Technology, as far as I know, from our 9 members I've met, only myself and Rich were born in this great city, thats two out of nine! As far as I know, five years ago there really WASNT any Vegans living here, truly. Dan was the first other Vegan I'd met living here, and she had only been in Invercargill for a year or two at that time. to suddenly gaining 8 other members in 2011, SO FAR. Why, if membership dues…., sorry, Beloved and Totally Respected Members…. keep skyrocketing at that rate, maybe I'll be able to buy an iPhone 5 before long! MacBreak Weekly 288 "vegetarians more likely to use Macs"
Google Sparks Video that mentions Veganism! New Zealand "dog in the milking pit, anger explosion, sacking"
Waituna Lagoon pollution, "farmers feel victimized"